Ready to sweat, sparkle and shine? 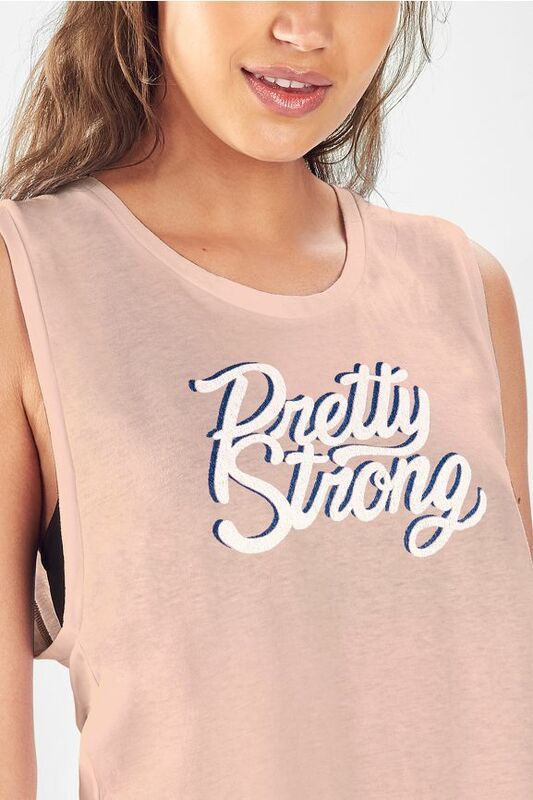 This breezy tank makes it possible with its relaxed silhouette and motivational graphic. 89% of members who purchased the Janis Muscle Tank recommend it. I chose one size over than my usual size because I thought it was short. By cons, tied with a knot in front, it's perfect and very trendy. Love it! Fit is a little tight around the chest and very loose around the stomach, but not enough of an issue to stop me from loving it! Love this top. So cute. I've gotten a bunch of compliments on it. Fits large but it's very comfortable. I wish the arm holes weren't so large. This is my new favourite top!!! Very cute top. Love the saying! !